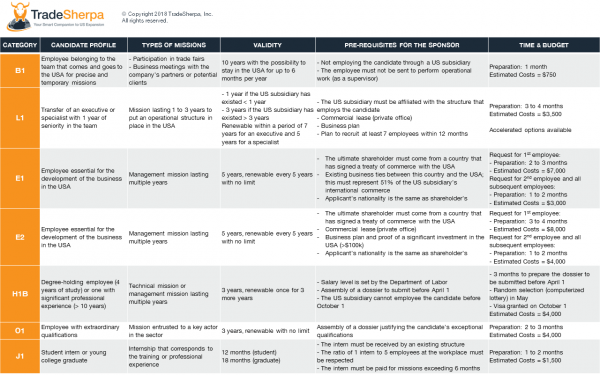 Visas in the USA: Which One Best Fits Your Project? Selecting a visa for yourself and your employees requires close attention, but it does not have to be complicated. On the contrary: once you have defined your goals and your situation, the choice becomes quite obvious. Click on the image below to download TradeSherpa’s synthetic comparison table. 2. Preparing the 1st meeting with the lawyer: what information is relevant? Does he / she have multiple nationalities? Dooes he / she have multiple valid passports? What is his / her level of study? What is his / her professional experience? What will his / her position be? What will his / her compensation be? Do you plan to send the candidate for a short professional mission or for several years? Is the candidate coming with his / her family? Does his / her spouse wish to work in the USA? owns a subsidiary in the USA? wishes to create a US entity? wants to send an employee to the USA for a specific project? Is the sponsor an American company that wishes to recruit non-US employees? Do 51% of the shareholders have the same nationality? In case investment funds are part of the sponsor’s capital, will they be willing to provide proof of their nationality? Are there existing business ties between the USA and the sponsor? Does the US subsidiary rent private offices (commercial lease)? Does the US subsidiary employ US citizens or non-US citizens? What is the forecast revenue generated by the activity in the USA? What is the recruiting strategy? Does this strategy include US citizens? Have you planned external growth such as the acquisition of a U.S. company? Do you consider selling the US subsidiary? Do you intend to perform a flip (transfer of headquarters from the country of origin to the subsidiary)? If you plan to send your employees to the USA as you create your US entity, we recommend that you read our practical guide Getting a US Visa or Creating a US Entity: What Should Come First? 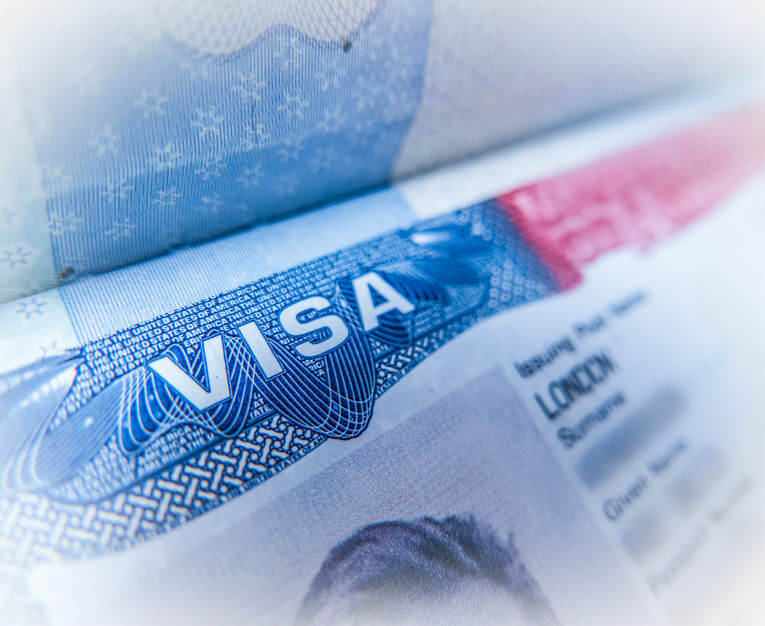 to better understand how the process for obtaining a visa can impact your business timeline.